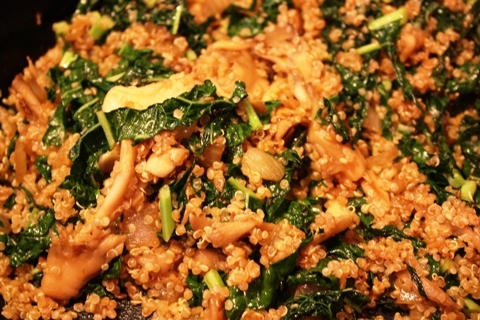 This medicated, clean-eating and very tasty Asian inspired dish makes use of three highly nutritious “super-foods”- Cannabis, Maitake Mushrooms, Lacinato Kale and Quinoa. Heat a wok or a heavy bottomed skillet over medium high heat. 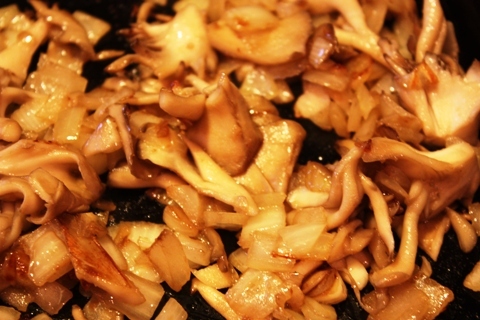 When hot add the oil then the mushrooms and onion, fry until the mushrooms render their juices and the onions are caramelized, add the garlic and cook being careful not to burn it. Add the kale and stir until softened. 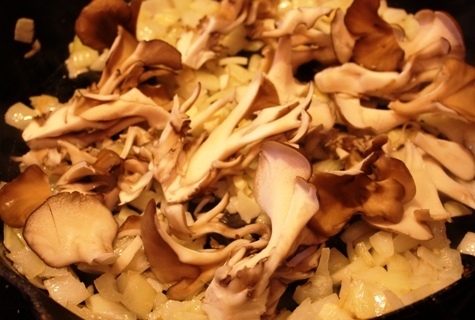 Add Shao Hsing, Black Vinegar (*found in most Asian Markets) and Soy starting with a Tablespoon of each and then adding more as needed to adjust to taste. 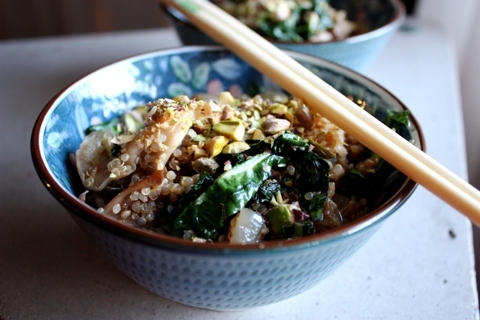 Add the cooked Quinoa and some salt and ground Szechuan pepper or regular black pepper and stir all to heat through and serve in small bowls garnished with a Tablespoons chopped pistachios for a bit of crunch.